Set in idyllic Sussex countryside and surrounded by over five acres of private grounds, Red Ghyll is a perfect bolthole from the city yet only six miles from Haywards Heath and Lewes. There's a comfortable family room, a spacious double and a single room. 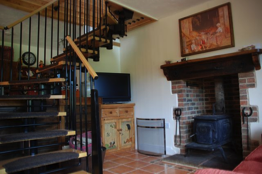 Next to the main house is the cottage, which sleeps six as a fully self-contained holiday let all year round. Newick village is less than a mile away and offers a good choice of country pubs and restaurants as well as local shops. Red Ghyll is ideally located to enjoy everything that mid-Sussex has to offer, including the Bluebell Railway, Glyndebourne and the numerous grand houses and gardens of this area. 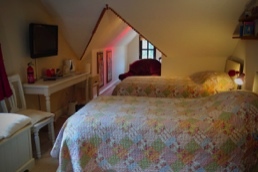 Red Ghyll has three bedrooms, two with en-suite facilities, which are offered on a B&B basis. Click here for further information. Red Ghyll is a peaceful haven in the middle of some of the finest countryside in the UK yet London is just over an hour away. 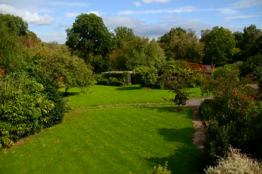 Little Ghyll is an independent cottage which sleeps six on a self-catering basis. Click here for further information and prices.